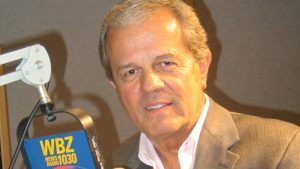 Longtime WBZ radio news anchor Gary LaPierre died Monday, February 4, according to WBZ. He was 76. LaPierre, originally from Shelburne Falls in western Massachusetts, joined WBZ AM 1030 in Boston in 1964. His deep, melodic voice and pointed sense of humor drove the morning news on WBZ for years, until his retirement in December 2006.